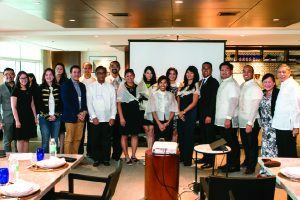 Held in Manila from October 9 to 13, the immersion program exposed the FYLPRO delegates to key leaders in government, business, and the not-for-profit sector. They also had the opportunity to interact with communities, exposing them to the realities of life in the Philippines. 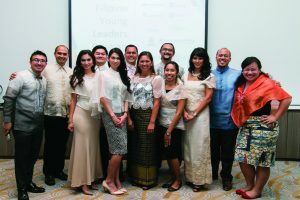 Now on its sixth year, FYLPRO seeks to forge stronger links between Filipino Americans based in the United States and its territories and Filipinos in the Philippines. The program seeks to advance causes that contribute to the development of Filipino communities. Through the immersion program, the FYLPRO delegates had the opportunity to interact with key government officials, and engaged in lively discussions with top business leaders. 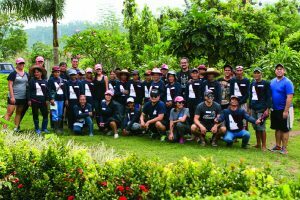 They also interacted with families displaced by Typhoon Ondoy and the Pasig River rehabilitation in 2008, and who are currently living in Calauan, Laguna. In addition, they gained a clearer appreciation of Philippine art, history, and culture as they visited the Ayala Museum and Intramuros. 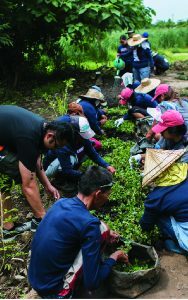 The Calauan program is one of the sustainable livelihood efforts of Ayala Foundation. This year’s batch of delegates also spent time developing and refining their “legacy projects.” These legacy projects are the delegates’ way of giving back to various important causes in the Philippines, in a creative, sustained, and impactful way. Experts from different sectors have also been assigned to the delegates to serve as their mentors not only in refining their legacy projects, but also understanding various facets of the people and communities they wish to serve, as well as the sector where they wish to pursue their projects. The delegates cap off their experience together with the FYLPRO program partners. FYLPRO 2017 is implemented under the leadership of Ayala Foundation and the Department of Foreign Affairs. It is also supported by Philippine Air Lines, Ayala Corporation, Ayala Land, Globe Telecom, Phinma, SGV Foundation, Makati Business Club, the American Chamber of Commerce in the Philippines, the Asia Society, and GMA International.